.App Domains are now available! Are you looking to launch a domain for an App? If you are, then we have just the solution to help you set up your app domain or prepare to buy for developments in the future. 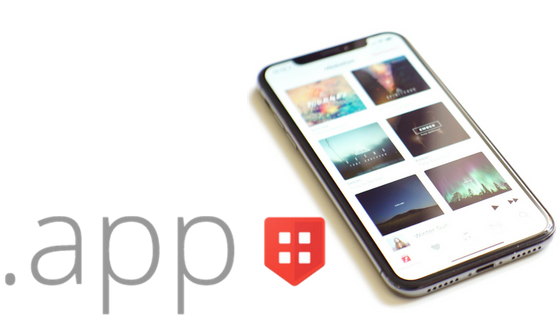 You might already have an online presence, but just imagine the benefits of having a .App domain name that tells potential customers that you have your own app. Having an app can give you a multitude of benefits from being able to share blogs, podcasts and business updates to your customers, to giving your business increased brand awareness by offering another channel to reach your clients. So why have a .app Domain for your app? A .App is a more secure Domain for apps. From games to news to education to business, .App is the perfect home to promote apps on the web. The .App domain is a great place to showcase a unique and trustworthy destination. To give you a sense of the scope of the .app TLD: 30,000 .App domain names were registered within three minutes after they became available on May 8. After 24 hours there were 150,000 .App domains registered. Is .APP right for you? .App Domain names are great for companies that offer apps on the Apple App Store, Google Play, and other app stores. Your .App website helps boost your SEO as well, allowing people to find your app in search engines like Google. The term “app” is now a common term for software as well, so if your business creates software, it makes sense to register a .app domain name. No plans to offer an app just yet? That might change. It’s becoming easy to create apps that people can use to access blogs, podcasts and other types of content. If you think you might create an app in the future, it makes sense to go ahead and register your site name in .App while it’s still available. Registering any .APP domain name is a quick, secure and hassle free process and it can be all done online with a few clicks of your mouse. It really is that simple, and with Netcetera, we’re always available should you need any help signing up for your domain. Once you’ve registered your chosen .APP domain with Netcetera you’ll also receive a FREE Email Account, DNS and Website Builder – everything you’ll need to help you get the most from being online. Register Your .APP Domain Now! Next: Next post: How Fast Is Your Website?